Have you been triggered by life recently? It’s been hard to escape the fact that these are trigger happy times. It can seem like everyone has an opinion but few are genuinely trying to learn from and understand the others’ perspective. Projection and blame has been rampant and we’ve witnessed it translate into ever increasing destructive behavior. I found myself asking where all of this pent up depression, rage, pain, martyrdom, fear and projection is coming from? What’s the source behind the triggering phenomenon we’re witnessing in self and others? As a shamanic practitioner and longtime yogi, I often seek clarity through meditation, dreamwork and ceremony. Conventionally accepted ways of seeking truth — researching online or through social media, TV, documentaries or reading publications — often lead to a great deal of confusion for me; I can’t always ascertain if the material is 100% trustworthy. Instead, I prefer an inward orientation and practice the art of deep listening, calling on support from my allies and trusting where my inner shaman and Spirit directs me daily. I filter my own intuitive intelligence with the best external information available, feel out what is authentically congruent and navigate life from there. In a recent ceremony my intention was to investigate the source behind many of the personal and collective triggers I was witnessing in myself and others. 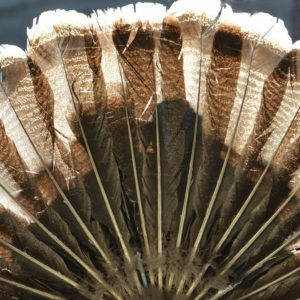 As I attuned and dropped into a meditative state, I was impulsed to reach out and do some healing work with Turkey feathers. Turkey is most wonderful medicine, a feminine, server archetype that helps open the heart in a sweet way. Turkey is a transport for the qualities of forgiveness, gratitude and generosity and is especially potent for releasing the binding around debt and karmic grudges that negatively impact our relationships. Turkey is motherly and caring; she is analogous to a cooling salve that purifies an open wound. 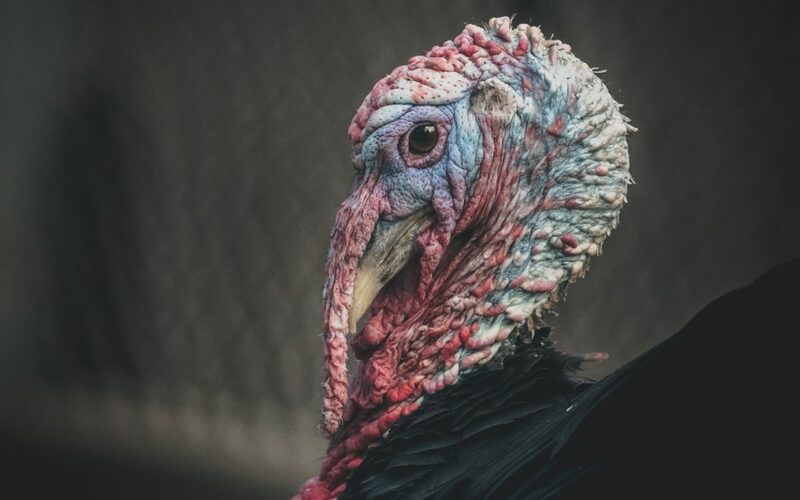 As a conduit for Spirit, Turkey disinfects emotional toxins, clears trauma and expands the leftover space into peace and neutrality. For me personally, Turkey is a totem ally for Mother Mary and her powerful healing presence. “Currently, there are lifetimes of very old, ancestral patterns surfacing, a lot of pain highlighted through the genetic code. Many of your ancestors lived miserable lives, died tragic deaths and did unnamable atrocities onto self and others. You inherited their patterns of dysfunction via your genes and bloodline and through the imprinting of your culture. This is a mirror for present time and the compound effect of centuries of unexamined beliefs based in fear, separation and suffering. In essence, your wounded and dysfunctional ancestors are dramatically calling out, through the body, for help in getting unstuck. Conversely, you also have many ancestors that experienced similar challenges but overcame them and developed into very wise, compassionate and powerful women and men in their own right. The most masterful became medicine carriers, gurus, shamans, saints, healers, sages, visionary artists, storytellers, teachers and leaders of exemplary caliber. They became impeccable as they ripened and came into full bloom as souls. These ancestral helpers are also here to assist humanity to heal and cleanse the gene pool of patterns that impede personal and global transformation. With that, an infusion of forgiveness pierced my heart through my turkey feathers, a gentle but powerful energy that cleared out heavy feelings of confusion and hopelessness. I felt bindings of old debt (what I thought I owed others or what I thought they owed me) dissolve into a neutral, blank slate. My heart opened to a space of peace, tears poured down my face and a warm, comforting white gold blanket of love enveloped me. Suffice to say, I highly recommend working with Turkey! “Spirit of Turkey, thank you for being those qualities of the Great Spirit (Totality) that bring in forgiveness, generosity and gratitude. I am wanting to experience those qualities myself in a deep way. I ask for your support in helping me with (name what is triggering you deeply). Bring in space and neutrality around these issues that have created a stuckness in my head, heart and body. Help me to clear my debt and my ancestors debt through my genes so we can all experience freedom. I ask you to align with my inner shaman (the inner guru, the wisest and most evolved aspect of oneself) and to effectively bring space and a peace into these issues. Thank you for making that so. Aho (or amen)!”. Forgiveness, like anything worthwhile, requires practice to perfect. The more you practice, the stronger the results. To prime the pump of forgiveness you can work with Turkey’s other qualities by being more grateful and being more generous with yourself and others. Practice gratitude and generosity everyday and Turkey will soften the hard edges around the heart and bring in the nectar of sweetness. To assist you, here’s a recorded visualization and song blessing to bring in the medicine of Turkey and forgiveness. Listen here or click the button below to download an audio file to your desktop. I'm offering two healing specials this month to support you with getting unstuck and welcoming the healing, peace and freedom that comes with forgiveness. One ½ hour phone healing session. Will utilize working with the energy of forgiveness to help you gain neutrality and space around a triggering issue of your choosing. Contact Deva directly to schedule your appointment, eMail or call: 505-204-8902.